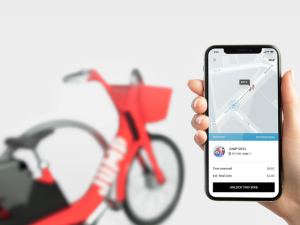 Jump bikes has a new owner;Uber. Uber, the ride hailing giants made its first acquisition under CEO Dara Khosrowshahi: Jump Bikes, a startup that rents out electric dockless bikes in San Francisco and Washington DC. 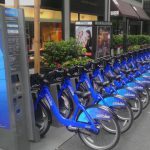 The New York City-based e-bike startup has been working with Uber for two months on a pilot to integrate bike-sharing options into Uber’s app. Apparently that trial went well because now Jump will become a subsidiary of Uber, and the ride-hailing company will take a leap into a brand new industry, with a different set of challenges and pitfalls. The bike-sharing company Jump, launched in 2011 as a Social Bicycles that runs GPS-enabled programs in twelve cities all over the world, including Portland, Oregon, and Phoenix, Arizona. In San Francisco, where it has 250 bikes, and Washington and about 100 Jump employees will be joining Uber. Jump’s offerings are both electric and dockless—twin cycling innovations that helped kick off a nationwide (and global) bike-sharing craze. Dockless bike shares, which allow users to leave their rides just about anywhere when they’re done with a journey, have quickly become a huge business in China and are rapidly expanding into some US cities. 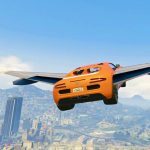 TechCrunch reports that the deal was valued at close to $200 million. Jump, had raised about $15 million in funding. Jump’s team will stay “independent and focused on growth vs. integration,” with CEO Ryan Rzepecki reporting directly to Khosrowshahi, Uber’s CEO told his company in an email. 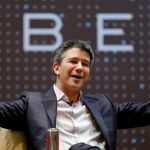 The acquisition is a signal that Uber doesn’t want to be seen as just a taxi substitute, but an urban mobility company. 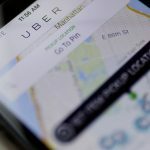 “We’re committed to bringing together multiple modes of transportation within the Uber app—so that you can choose the fastest or most affordable way to get where you’re going, whether that’s in an Uber, on a bike, on the subway, or more,” Uber CEO Dara Khosrowshahi wrote in a blog post. 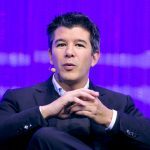 Earlier this year in January, the company received exclusive permission from the San Francisco Municipal Transportation Authority (SFMTA) to launch its service in Uber’s backyard. Since dockless bikes are pretty new in the US, SFMTA is using the next 18 months to access the program to see if it works before allowing Jump to offer its services in the long term. Jump has 250 neon-red electric powered bikes scattered across the city today. With so many travel options these days, there is certainly a demand among consumers for more aggregation. Navigation apps like Transit, Citymapper, and Google Maps now list ride-hailing options alongside transit and bike routes. People want to compare prices and make informed decisions, and there is a race among companies to be the first to offer that multimodal service.